Broadway Dance Center’s Summer Session is an exciting opportunity to get a taste of life as a New York City dancer! This 8-week program provides a nurturing atmosphere for dance students ages 18-27. Our highly acclaimed faculty and supportive staff are the cornerstone of this program, offering students diverse training of unparalleled distinction. As a Summer Session student, you will gain valuable dance training and the NYC summer experience of a lifetime! Michelle currently stars as Detective Sonya Bailey on FOX's Lethal Weapon. Tiffany appeared in Miss Saigon on Broadway. Synthia was Dance Captain for the Broadway production of Bullets Over Broadway. Daniel danced in the European tour of West Side Story. In many cases, the Summer Session may be accepted for college credit. Please contact us for a list of universities that grant credit for the program, or speak to the Dance Department representative at your school. BDC offers rolling admissions. You will be notified of acceptance within 3 weeks after receipt of your completed application via email. You must have a valid email address. Please contact [email protected] for more information on how to apply. Applications are considered based on dance training, marketability, and professionalism. In order to succeed in the program, students must arrive with the necessary funds to support their living expenses during the semester. Part-time work is acceptable, but we strongly advise against trying to work full-time while participating in the program. Please defer your application to the following semester if you need more time to amass these funds. Once you are accepted into the program, a deposit of $975 (half tuition) is due within 30 days of acceptance to secure your spot. The remaining balance is due upon starting the program. Checks/money order made payable to Broadway Dance Center. While BDC is unable to provide student housing, we do work closely with Student Housing Associates (studenthousingassociates.com). Please email [email protected], and we will connect you with our liaison at Student Housing Associates. 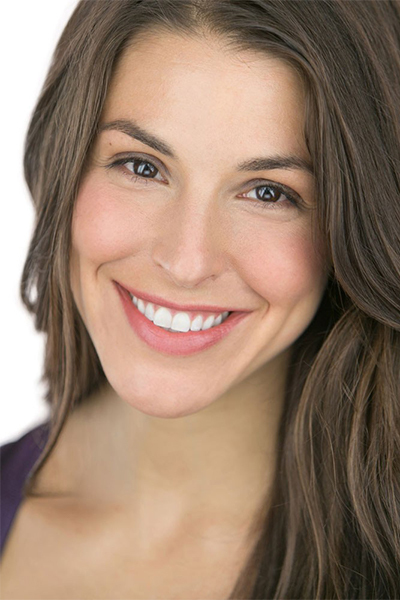 Kelly Coyle performed in the Pippin national tour and covering the role of Fastrada! Corey performed in the first national tour of Finding Neverland. Erin is dancing on the national tour of Cinderella. Mindy was a featured dancer in the motion picture The Silver Linings Playbook. Emma dances for the renowned Odyssey Dance Theater! Gelsey played Constance in The Rock of Ages national tour. Morgan danced in the Flashdance national tour. Angelisa performed at Walt Disney World. Emily is now a Radio City Rockette. Elleni danced on The Tonight Show Starring Jimmy Fallon with singer Zara Larsson. Melanie is a dancing fairy for Tinkerbell's float in Disney World's Electrical Light Parade! Trevor was on the national tour of Beauty and the Beast. Megan is performing in Beauty and the Beast at the ZACH Theatre. Carey danced on Royal Caribbean's Voyager of the Sea. Alexandra danced on Norwegian Cruise Lines! Julianne is a Miami Heat dancer! Elise is a Cleveland Cavalier Girl! Siobhan is captain for the Carolina Panthers Cheerleaders and performed at the Super Bowl. Shaun is dancing on his second contract with Norwegian Cruise Lines! Ameen is dancing on Norwegian Cruise Line. Maddy is dancing on Norwegian Cruise Lines.